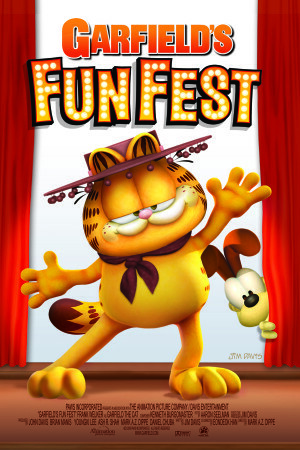 Welcome to FunFest – the annual talent competition for the funniest comic strip in Cartoon World. As you can probably guess, a certain lasagna-loving, tubby tabby wins it every year. So why should this year be any different? Well, there’s a new contender, that’s why. His name is Ramone, and he’s tall, he’s handsome, and he just might unseat Garfield as king of the comic strip! Don’t miss a single hilarious moment as the world’s most comical fat cat competes – and eats – his way through his latest adventure. Let the Garfield games begin!